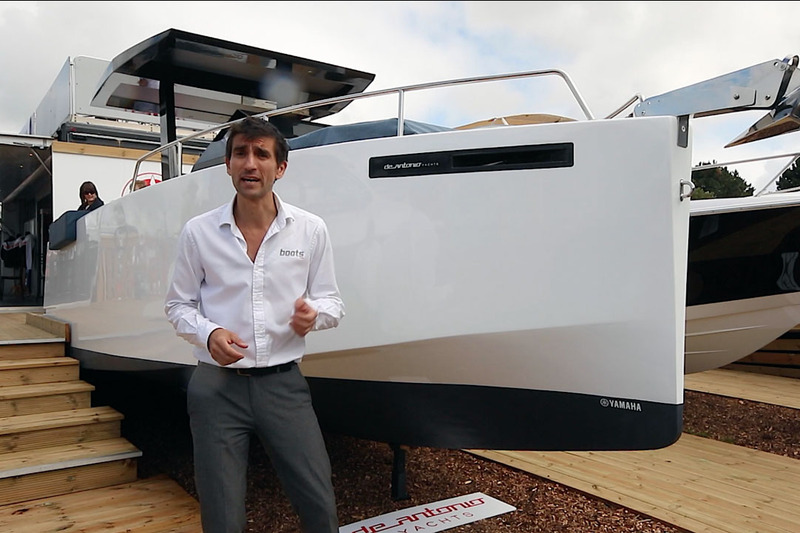 The 2012 Yamarin 63 DC has now hit the UK, adding an extra option to the company’s well-regarded Day Cruiser line. 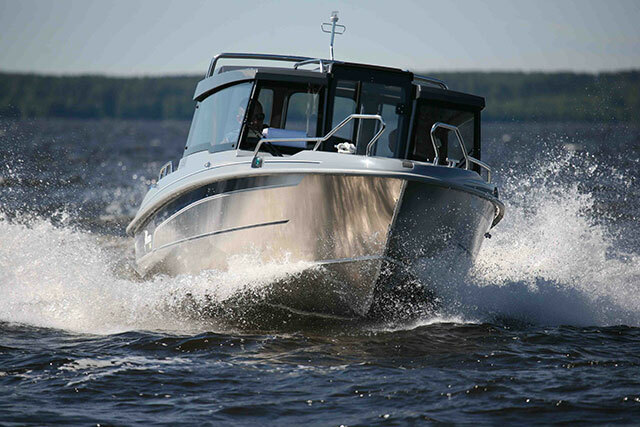 Yamarin has a long tradition of Day Cruiser boats, with Yamarin craft achieving top placements in tests and sales statistics for some years now - and if precedent is anything to go by, the new 63 ought to do equally well in the UK market. 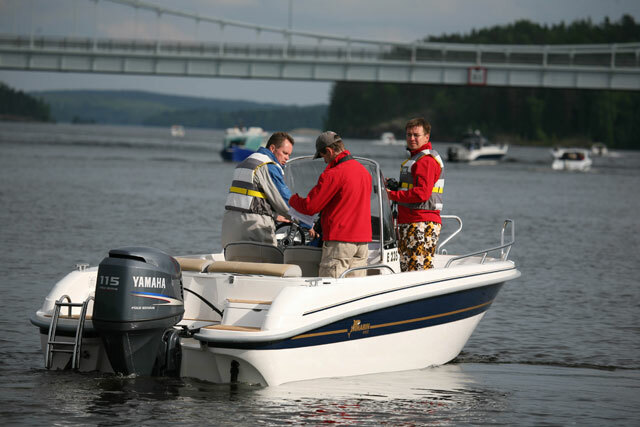 Designed for couples and small families looking for a smaller boat package that still offers a generous amount of space, the Yamarin 63 Day Cruiser handles very vigorously, even with the 115 horsepower engine. The new model also has a large open cockpit area that can be converted into a surprisingly roomy sunbathing platform by means of an optional table and cushions. And with the canopy installed, this is able to create additional sleeping space for two people. 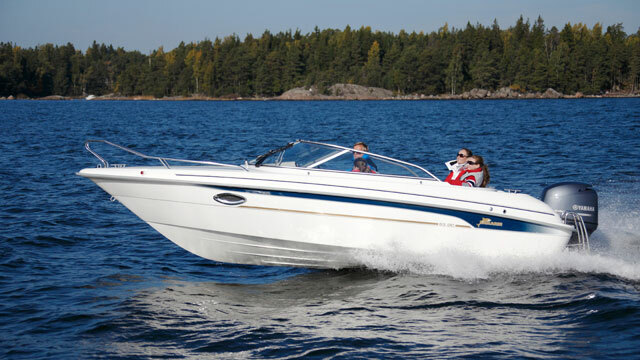 The boat has ample storage space, plus an area with a power socket under the large L-shaped aft bench for a cool box. 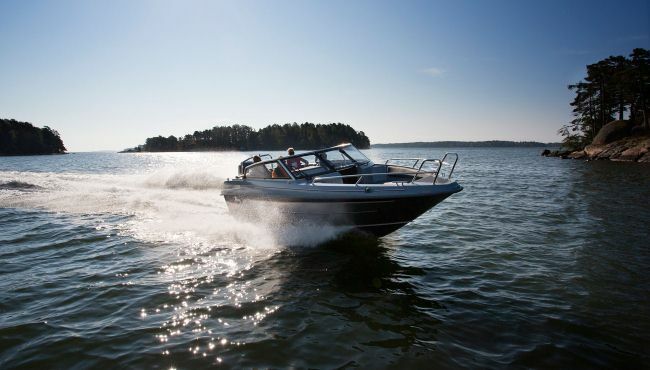 The hatches are equipped with gas struts for ease of opening, and (in very traditional Scandinavian fashion) handy stepping platforms maintain clear access around the boat, even with cushions in place. 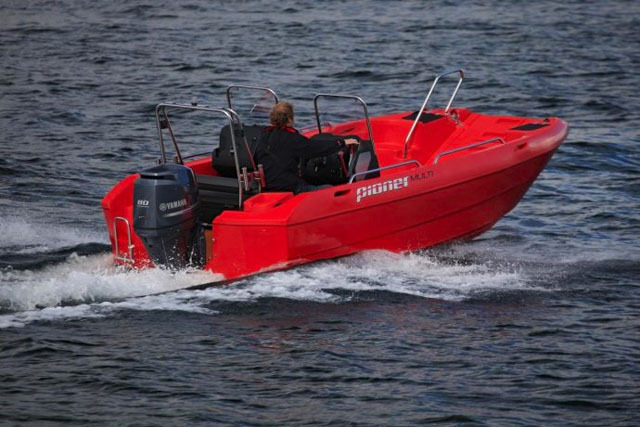 The driver's seat is well appointed, with the controls neatly placed and an eight-inch space reserved for the chart-plotter in the orthodox position on the console. 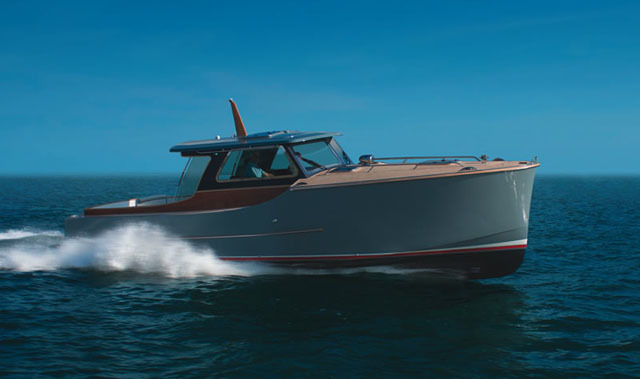 The Yamarin 63 DC is also fitted with a generous amount of standard equipment, including a canopy and hydraulic steering, while the foredeck and steps come with a teak finish as standard. An elegant glass door allows access to the cabin, which has ample space for two adults and there is also generous storage under the bow mattress for luggage. 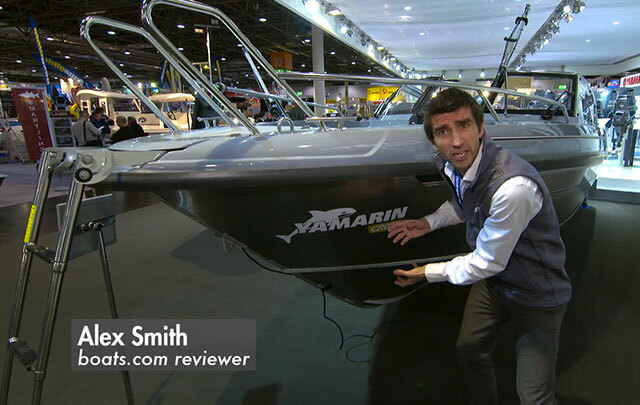 For more on this new Yamarin model and the rest of the range, See Yanmarin.